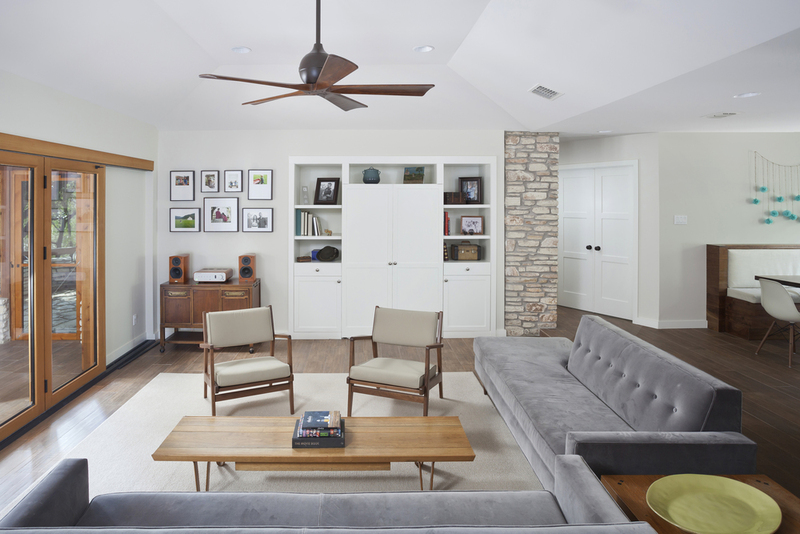 We fully remodeled this West Austin home—complete with a screened-in porch and garage conversion (1,600 square feet of remodeled space)—to accommodate a growing family. Custom bartop made from native Texas black walnut. 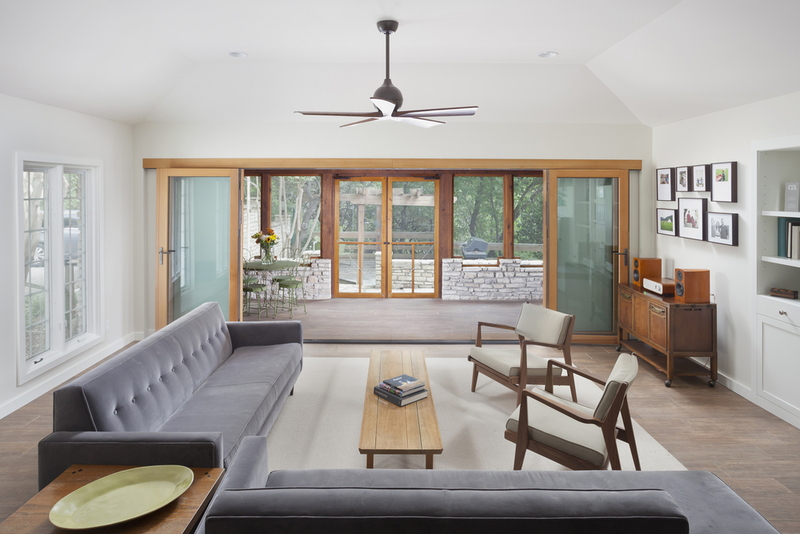 Living Room: Custom office built-in, retractable doors (custom millwork) and custom walnut tabletop. 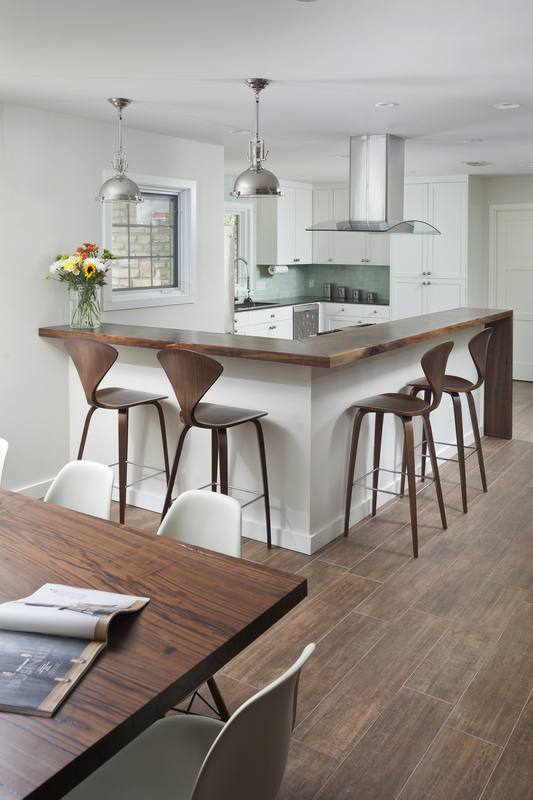 Custom cabinetry with Shaker-style doors. Cedar Nana wall system (retractable pocket door system) that opens into the indoor/outdoor living space, an addition which was part of the project. Custom banquette seating and custom dining table, made from native Texas black walnut. 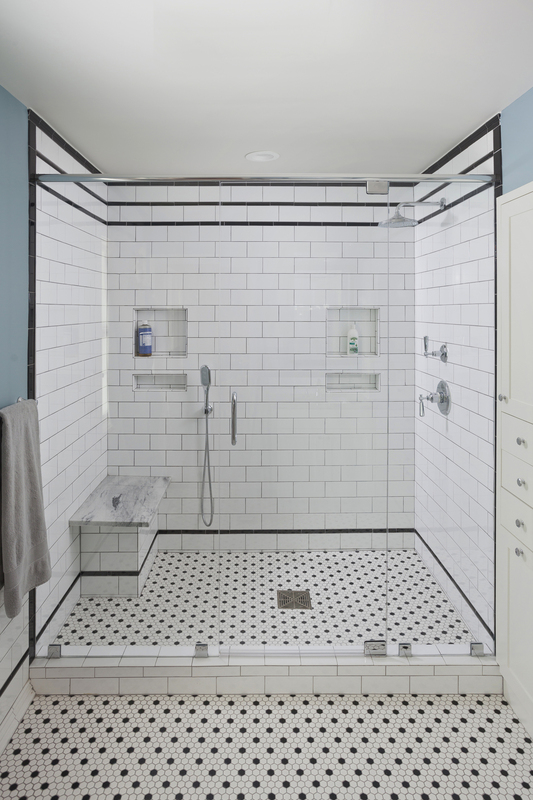 Complete gut remodel of master bathroom with custom tile and custom built-in vanity. 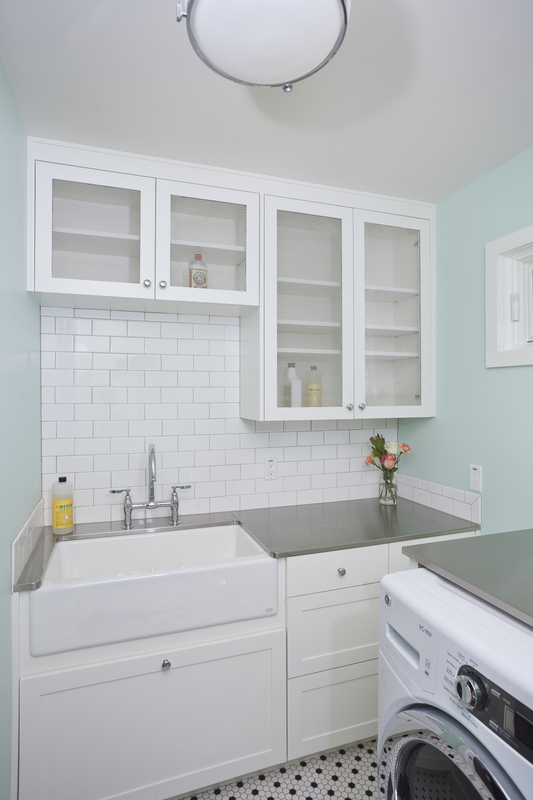 Laundry room with stainless steel countertops and custom metal-paneled doors.